• Our client who is an Agricultural machinery and services provide company in Dar es salaam is looking for Operations manager who will be responsible solely for all Stocks related to Sales, Marketing in Head Office and all Branches and will be the custodian of company Property, whose safety and security is your responsibility. • Will be responsible for ensuring that the organisation is running as smooth as it possibly can, with a smooth efficient service that meets the expectations and needs of customers. • Will have to ensure that all the sections of the operational processes come together to deliver the expected quality of final product. • Responsible to oversee the quality of outputs by ensuring that all operations are executed in an efficient, cost effective and timely manner in alignment with procedures and requirements. • A qualified candidate must have 8 to 10 years of Experience in Automobile / Agriculture Machinery in the company which involves overseeing the provision of goods and services. • Minimum a bachelor’s degree with not less 5 years in a managerial position. • Our client who is Agricultural machinery and services provide company in Dar es salaam is looking for a Technical Manager who will be responsible to oversee daily Service, Spare Parts & Logistics operations for organization and evolve a system of Daily reports from field to you and from you to the Managing Director. • Coordinate efforts on Parts & Service by establishing procurement, production, marketing, field, and training policies and practices; coordinating actions with corporate staff. • Contribute to the creation and implementation of a comprehensive strategy designed to grow the business in line with company vision by engaging with corporate officers in broader organizational strategy planning. • Identify any skills gaps in the organisation, within your department and initiate a recruitment programme to support this. • Foster an engaged work environment within the location/s, encouraging accountability, open communication, teamwork, and a commitment to serving the customer. • Responsible for developing sound relationships with stakeholders, funders and community in order to gain mutual benefits. 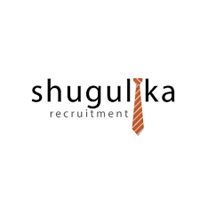 Interested and qualified candidate send CV and cover letter to luisia@shugulika.com before 1st August 2018.